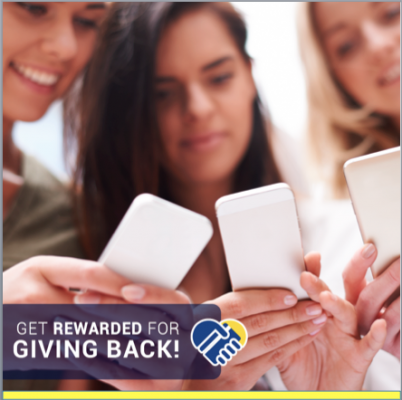 Get Rewarded for Giving Back! It’s the Season of Giving, and Coin Up has a little something for the first 100 new donors* who sign up during the month of December! Select the charity of your choice from over 150 qualified nonprofits. Link your credit or debit card & set a monthly limit. Spend as usual with your credit or debit card. After your first donation is made at the end of the month, you will receive an email for your $10 Amazon Gift Card. Season’s Greetings and Happy Giving! * Offer valid entire month: Dec 1 – 31, 2017. Users must sign up during this time period to earn an Amazon Gift Card. One gift card per user while supplies last. Coin Up will provide $10 Amazon Gift Cards for up to 100 unique, new donors that sign up with the Coin Up platform during December, 2017, at the discretion of Coin Up (final decision). New donors will receive their gift card via email 30-40 days after they complete their registration and after their successful donation has been verified.